Almost every man has a wardrobe of bow tie. But to have this accessory is only half the battle. It is important to know how to combine tie and shirt. It affects not only men, but his success in all spheres of life. Some used to pay tribute to the traditions. Such people have in the Arsenal there is only the classic black bow tie. They don't go wrong if you choose this accessory for formal or ceremonial event. 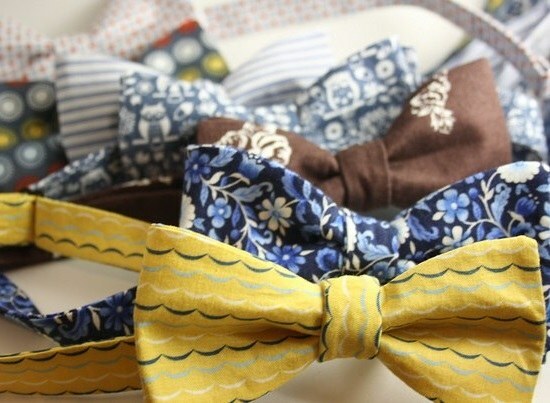 On the shelves you will find a variety of bow ties. They can be any color or pattern. So, you can find butterfly checkered, polka dot or pattern. The image will be less formal, but still stylish. These colorful butterflies require to have a more diverse closet. A color tie can be worn not at all ceremonial events involving a strict dress code. For example, you cannot wear it for a private concert or the Oscars. However, some situations still allow you to wear a colored tie, but you need to know how to combine accessories, shirt and all other clothing. To jeans and a plain white shirt suit tie any bright hue. No matter the color of the accessory — pink, red or green — it will always come to fresh shirt. But do not forget that it must be white. A great option is the combination of white shirt, light jeans and blue butterfly. The accessory will blend in with jeans, which is very important in his selection. Blue butterfly to a white shirt will also be very helpful. If the closet has a light-colored shirt, you must purchase a bright or motley bow tie. The image will look very stylish and harmonious, if to apply to more and a dark suit. Brightly colored butterflies can be very useful to fit a light shirt. The red or Burgundy accessory will look good with a plain shirt, with optional white color. This image will also be appropriate in a dark suit. If the Arsenal man has a checkered or striped suit, he must be plain or with a small figure of a butterfly. Of course that shirt to this motley along should be exclusively white. Striped shirt requires a solid bow tie. The same applies to the shirt. The image can be supplemented by colorful costume. It will look very stylish. Tie the cage will fit solid shirt. Naturally, this motley outfit you should not wear to a formal event. The main rule of selection of shirts under the butterfly is that appearance men should not dazzle. Colorful shirts can be balanced solid tie, and Vice versa. Thus it is necessary to remember about the color combination. No need to assemble in your way more than three shades.